Market Research is a systematic, objective collection and analysis of data about a particular target market, competition, and/or environment. It always incorporates some form of data collection whether it be secondary research (often referred to as desk research) or primary research which is collected direct from a respondent. The purpose of any market research project is to achieve an increased understanding of the subject matter. With markets throughout the world becoming increasingly more competitive, market research is now on the agenda of many organisations, whether they be large or small. To conduct market research, organisations may decide to undertake the project themselves (some through a marketing research department) or they might choose to commission it via a market research agency or consultancy. Whichever, before undertaking any research project, it is crucial to define the research objectives i.e. what are you trying to achieve from the research? and what do you need to know? After considering the objectives, Market Researchers can utilise many types of research techniques and methodologies to capture the data that they require. All of the available methodologies either collect quantitative or qualitative information. The use of each very much depends on the research objectives but many believe that results are most useful when the two methods are combined. Quantitative research is numerically oriented, requires significant attention to the measurement of market phenomena and often involves statistical analysis. For example, a bank might ask its customers to rate its overall service as either excellent, good, poor or very poor. This will provide quantitative information that can be analysed statistically. The main rule with quantitative research is that every respondent is asked the same series of questions. The approach is very structured and normally involves large numbers of interviews/questionnaires. Perhaps the most common quantitative technique is the 'market research survey'. These are basically projects that involve the collection of data from multiple cases - such as consumers or a set of products. Quantitative surveys can be conducted by using post (self-completion), face-to-face (in-street or in-home), telephone, email or web techniques. The questionnaire is one of the more common tools for collecting data from a survey, but it is only one of a wide ranging set of data collection aids. Qualitative research provides an understanding of how or why things are as they are. For example, a Market Researcher may stop a consumer who has purchased a particular type of bread and ask him or her why that type of bread was chosen. Unlike quantitative research there are no fixed set of questions but, instead, a topic guide (or discussion guide) is used to explore various issues in-depth. The discussion between the interviewer (or moderator) and the respondent is largely determined by the respondents' own thoughts and feelings. As with quantitative techniques, there are also various types of qualitative methodologies. Research of this sort is mostly done face-to-face. One of the best-known techniques is market research group discussions (or focus groups). These are usually made up of 6 to 8 targeted respondents, a research moderator whose role is to ask the required questions, draw out answers, and encourage discussion, and an observation area usually behind one way mirrors, and video and/or audio taping facilities. In addition, qualitative research can also be conducted on a 'one on one' basis i.e. an in-depth interview with a trained executive interviewer and one respondent, a paired depth (two respondents), a triad (three respondents) and a mini group discussion (4-5 respondents). After compiling the data, Market Researchers evaluate it and make conclusions and recommendations to their client or employer based upon their findings. They provide an organisation's management with information needed to make decisions on the promotion, distribution, design, and pricing of products or services - information that meets the initial research objectives. 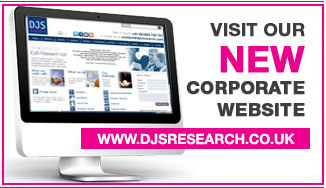 If you require further information about the topic of Market Research, please contact us.